In February 2014, EFF filed suit against the Federal Democratic Republic of Ethiopia on behalf of our client, Mr. Kidane, an Ethiopian by birth who has been a U.S. citizen over a decade. Mr. Kidane discovered traces of Gamma International's FinSpy, a sophisticated spyware product which its maker claims is sold exclusively to governments and law enforcement, on his laptop at his home in suburban Maryland. A forensic examination of his computer showed that the Ethiopian government had been recording Mr. Kidane’s Skype calls, as well as monitoring his web and email usage. The monitoring, which violates both the federal Wiretap Act and Maryland state law, was accomplished using spyware that captured his activities and then reported them back to a command and control server in Ethiopia controlled by the government. The infection was active from October 2012, through March 2013, and was stopped just days after researchers at the University of Toronto’s Citizen Lab released a reportexposing Ethiopia's use of use of FinSpy. The report specifically referenced the very IP address of the Ethiopian government server responsible for the command and control of the spyware on Mr. Kidane’s laptop. Journalist. Press freedom advocate. Media development trainer and mentor. NAIROBI, Kenya - A cursory glance at the headlines shows that Ethiopia has one of Africa's fastest growing economies. But the noise generated by the hyperbolic international media is drowning out the critical voices. Political opposition is being strangled by the authorities as activists and journalists are arrested and thrown into jail at a dizzying pace. On April 25 of this year, the Ethiopian government made news by arresting six bloggers and three freelance journalists. Setting a dangerous precedent for other governments in the region and beyond, authorities are now targeting youth online. The nine writers are facing terrorism-related charges, standing accused of inciting violence through social media. The six bloggers are members of the online collective known as Zone 9 . The moniker was chosen to represent the inalienable right to freedom of expression: journalists are often held in the section of Addis Ababa's Kality prison known as Zone 8. "The government claims [those detained] are conspiring with foreign non-governmental organizations, human rights groups," said journalist Araya Getachew. "It also claims that they are also working for banned terrorist organizations trying to overthrow the state. This is totally false." Araya Getachew, 29, along with Mastewal Birhanu, 27, and Fasil Girma, 29, all sought refuge in Kenya following a state crackdown on media in Ethiopia. Some veteran journalists were not so fortunate: Woubshet Taye, Eskinder Nega and Reeyot Alemu have all been recently sentenced under a new media law. Human Rights Watch is monitoring the situation. 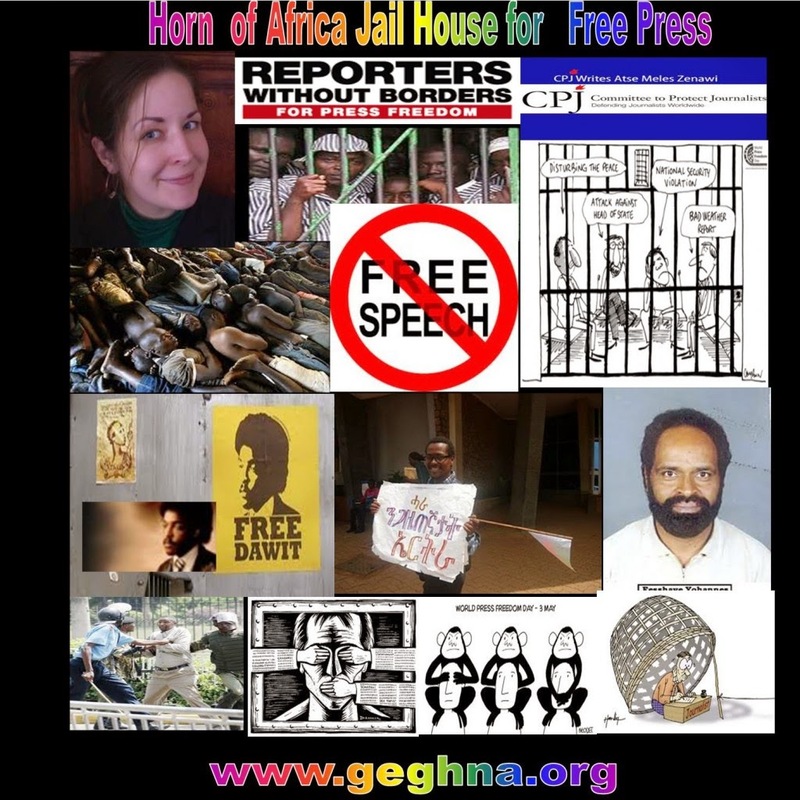 HRW stated: "Since Ethiopia's anti-terrorism law was adopted in 2009, the independent media have been decimated by politically motivated prosecutions under the law. The government has systematically thwarted attempts by journalists to establish new publications." Critical blogs and websites are regularly blocked, says HRW. In 2012, even publishers which printed publications that criticized authorities ended up being shut down. Mastewal was arrested last year alongside his editor for printing editions of the newspaper Feteh. The reason the authorities gave for shutting down the newspaper and arresting Mastewal and his editor was that they published news of the death of former Prime Minister Meles Zenawi before an official government announcement was made. "The government confiscated and burned all 40,000 copies of the newspaper," Mastewal says. "I was put in jail and charged. I refused to plea bargain to help convict my editor. I left the country." "For me," says Araya, "there's no doubt if I were in Ethiopia that I would have been arrested by now. Most bloggers and freelancers there are my friends." All three Ethiopian journalists now live in Nairobi, Kenya's capital. Unlike most Ethiopian emigrants in Kenya, they are political, not economic, refugees. Mastewal and Araya applied at the UN High Commission for Refugees, or UNHCR, to be resettled in Canada. They still await a response from the Canadian High Commission. "We made our claim together with UNHCR," Araya said. "We have file numbers but nobody to call, no contact person at the high commission. They still have not told us when we'll be leaving for Canada." Fasil founded a public forum in Ethiopia for journalists to discuss issues of corruption in government. Not long afterwards, he was all but chased out of the country. "I left Ethiopia two years ago," he says. "I was doing research with Transparency International . We sent an anti-corruption report to the Ethiopian government for feedback and then the pressure became so intense that I had to leave." The Ethiopian and Kenyan governments have recently started working together to combat the spread of terrorism across the region. This cooperation is making Nairobi-based Ethiopian journalists feel uneasy about speaking or writing freely. "With the Kenyan security forces rounding up refugees," says Fasil. "I fear deportation. It's tough to go out and come back safely." It is now over 100 days, and counting, since the six Zone 9 bloggers and the three freelance journalists were thrown into Ethiopian prison cells. For Fasil, like most political refugees, life in Kenya is tough. But, unlike Araya and Mastewal, he is not yet ready to give up and head to Canada. The trial of six bloggers from Ethiopian blog Zone 9 and three journalist were due to get underway today, but shortly after court proceeding started it was adjourned to the 20th of August. While no reason for the adjournment was given, the news was communicated through Zone 9’s twitter account early Monday morning. The nine writers have been charged under Ethiopia’s anti-terrorism law, for posting blog articles about the state of the East African nation and on topics such as human rights. At the end of July they have been in custody for over three months. One of the arrested bloggers, Natnael Feleke, posted various articles on political freedom in Ethiopia. “In his introduction Natnael has painted the level of fear the country has been experiencing. He gave instances of this fear culture that engulfed Ethiopia. He highlighted why freedom and bread are a contested issues in Ethiopian politics. He provocatively asked which (bread or freedom) should be prioritized,” Ethiopian blog Trial Trackers explained from the translated text. The articles were written in Ethiopia’s native Amharic language. In another blog entry called ‘Journalism or manufacturing consent’ blogger Endalkachew H took on journalism, which the country tries to control. “It is a piece which criticize the developmental journalism practiced by state media. The writer argues state media journalism is used to manufacture consent,” added Trial Trackers. In late July 40 international organisations penned an open letter demanding from Ethiopian prime minister Hailemariam Desalegn the release of Zone 9 bloggers from custody. The letter accuses the Ethiopian government of mistreating the bloggers. “All nine detainees were subsequently held for nearly three months before any specific allegations were presented or formal charges filed against them. 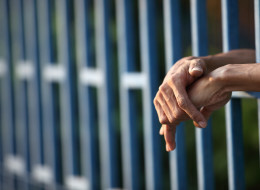 Most concerning, however, are reports that some of the detainees have complained of serious mistreatment by investigators and that defence lawyers and their clients have been excluded from some of the proceedings,” the letter reads.